I begin with an apology here. I haven’t been writing blogs for awhile. 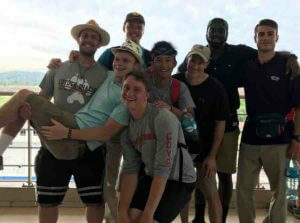 Part of the reason is that I recently went on a mission trip to Panama with missionaries from FOCUS (Fellowship of Catholic University Students). On the trip, we happily (and rightly) had a “technology fast,” abstaining from using our cell phones, texting or looking at any social media for an entire week. It was initially hard, but delightfully freeing. Our primary goal was to visit an agricultural school in the small town of David called San Benito (named for St. Benedict). We hosted a sports camp for children, mostly middle-school aged, and had a Spirit-led retreat experience for the college students on our trip. 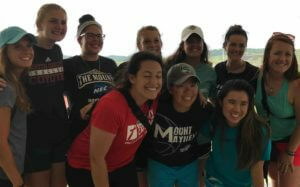 Our group consisted of five FOCUS missionaries – fine, faithful young adults, recent college graduates themselves, who serve on college campuses around the U.S. seeking to build up the faith – twelve college students from around the nation, most of whom are or were student-athletes, and myself serving a their priest and chaplain. As both a priest and a former athlete and sports enthusiast, I was very interested in this mission. There were several things that differentiated us from the children and people we visited in Panama. They were mostly poor. They all spoke Spanish and no English, save for a handful of persons. They were dark-skinned, and of course were younger than us. The week culminated on the last day with a Mass with the school children, teachers and we pilgrims. It was so inspiring because even though we mostly could not understand one another by language, we still prayed together in a bilingual Mass. I gave it the “old college try” with the prayers of the Mass in Spanish and a translated homily. We truly united as the Body of Christ, as a church. It really gave great witness to what the “universal” nature of the Catholic Church is. The most revealing moment was the sign of peace, which lasted for several minutes as many students came up with smiles and joy to hug and greet our pilgrims. Those who received holy Communion did so with great devotion and emotion. The Gospel of the day from John spoke of Jesus telling his disciples “I call you friends.” It described a change that had developed in the relationship between Christ and his disciples. 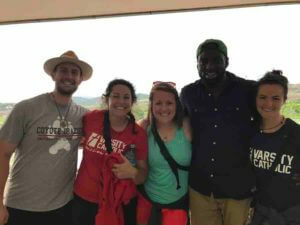 That Gospel passage was being lived out before our very eyes in Panama, as we had all become friends in Christ. 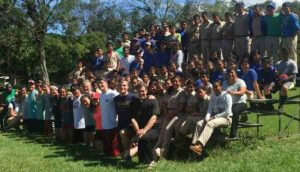 Through the week, our pilgrims developed a deeper friendship with Jesus and one another through the daily Mass, eucharistic adoration, faith sharing, very personal testimonies, penance, prayer and fun communal time together in a humble little school community in the green and often-rainy hills of Panama. We truly felt like a family by the end of the week, as if we had known one another for years. The fruits of the trip were evident to us by the end of the last day. As we began to say goodbye and took a group photo together, the children came up to us in tears, not wanting us to leave, embracing us, thanking us for coming, and asking us to sign soccer balls and the jerseys they were wearing. It was quite an amazing sight – one that will be etched in my mind and heart for a lifetime. One memory that stands out was at the very end of our trip. Lauren, one of our student missionaries from Temple University in Philadelphia, was playing her ukulele that she had brought. Two little school girls came up to listen, and as she played the popular praise song, “Here I am to Worship,” the girls began to sing it in Spanish. The words of Jesus, “I call you my friends” were never more evident. When we encounter Jesus, whether on a mission trip in another country or in our ordinary, daily lives, we discover that he wants to befriend us. To have a deep, intimate relationship with him that abides, grows and lasts. 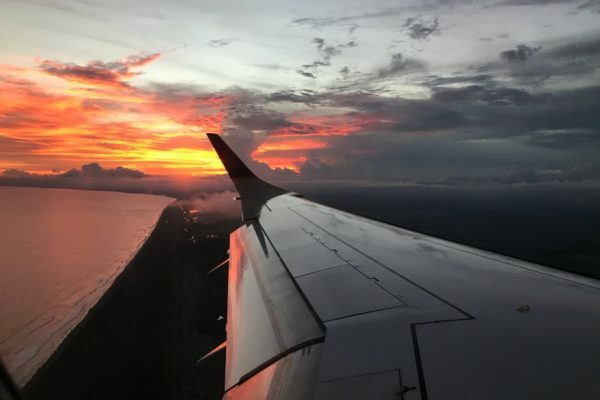 For 18 pilgrims in Panama, this happened in an amazing, profound way. 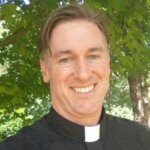 As I begin my 14th year of priesthood this week, I am grateful to have been one of them – and I am a better priest for it. To God be the glory and may Christ be praised – in Panama, in Baltimore or wherever our mission may be. Father J. Collin Poston is pastor of St. Anthony Shrine in Emmitsburg and Our Lady of Mount Carmel in Thurmont. He is also the creator of vignettes called "Inspire/Ask-the-Pastor."